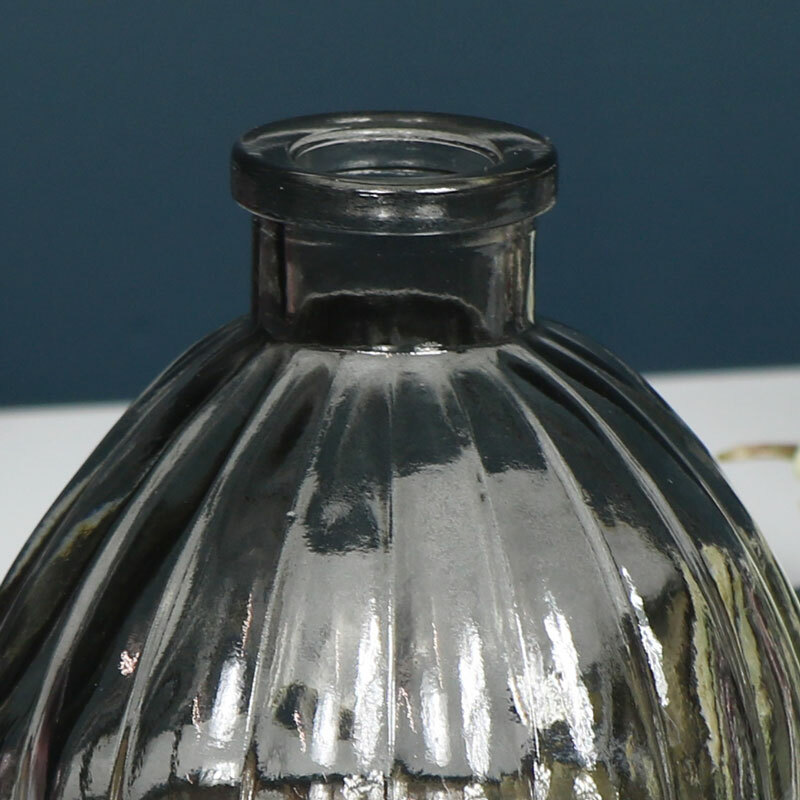 Grey Ribbed Glass Bottle Vase - Vintage style round grey ribbed glass bottle style bud vase. Perfect accessory for wedding or home decor display. 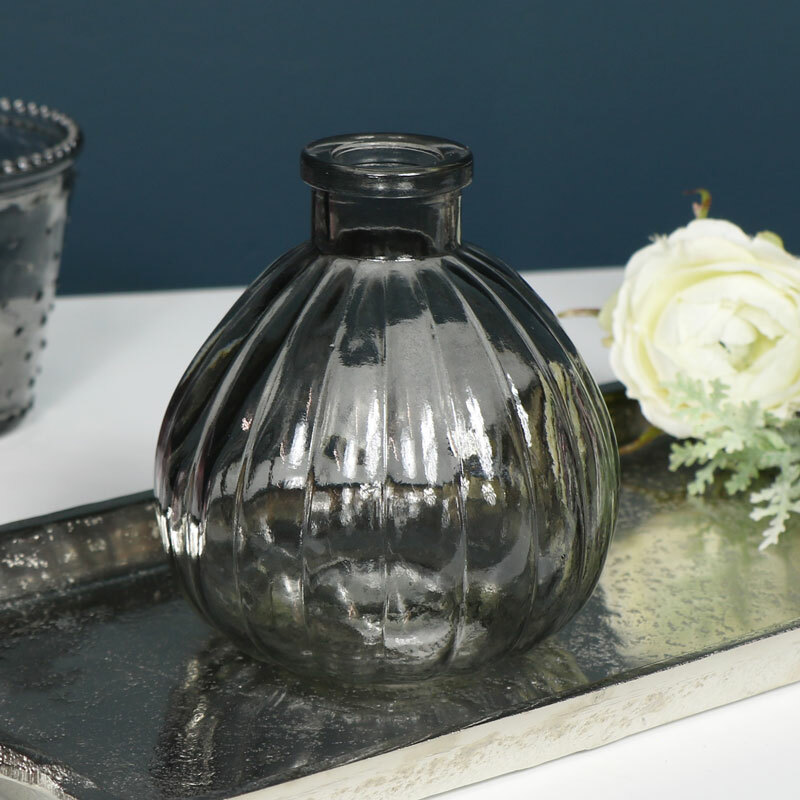 Simple design, Grey Ribbed Glass Bottle Vase, use for holding single stem flowers or for adding some vintage styling to a room. Beautiful little vase, with many more vases in a great choice of colours and sizes. Grey Ribbed Glass Bottle Vase - Vintage style round grey ribbed glass bottle style bud vase. Perfect accessory for wedding or home decor display. Simple design, Grey Ribbed Glass Bottle Vase, use for holding single stem flowers or for adding some vintage styling to a room. Beautiful little vase, with many more vases in a great choice of colours and sizes. Made from glass in a smoked grey with ribbed glass effect.